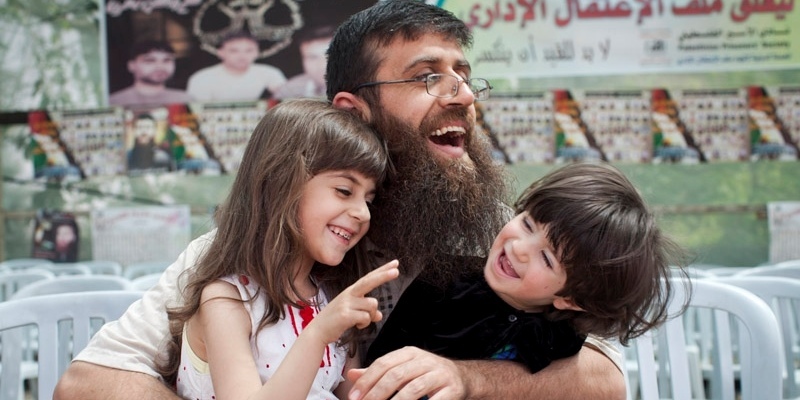 The occupation issued a new administrative detention order against Khader Adnan. Adnan was released from administrative detention in 2012 after a 66-day hunger strike against his imprisonment without charge or trial drew international support and attention and wide engagement from Palestinian movements. Adnan’s administrative detention order is for 6 months; it is indefinitely renewable, and issued without charge or trial. 19 other administrative detention orders were issued alongside Adnan’s. The administrative detention of Adnan came as occupation forces resumed their mass arrest campaign in the West Bank and Gaza in the early hours of July 14, arresting 57 Palestinians from Jerusalem and the West Bank, including noted academic Abdul-Sattar Qassem and 11 members of the Palestinian Legislative Council, bringing the number of imprisoned PLC members to 35, 33 from the Hamas legislative bloc (Change and Reform) and Ahmad Sa’adat of the Popular Front for the Liberation of Palestine and Marwan Barghouti of Fateh. The funeral of Munir Badarin on July 14. Occupation forces killed a young man in al-Khalil while engaging in these arrest raid, Munir Ahmad Hamdan al-Badarin, 21, shooting him with live ammunition as residents resisted the army’s invasion, and prohibiting access to emergency vehicles and personnel for over 40 minutes until he bled to death, as reported by IMEMC. These mass arrests, now numbering over 1000 since mid-June including numerous former prisoners and prominent hunger strikers like Khader Adnan and Samer Issawi (whose next hearing was postponed until July 16), are taking place while occupation forces are launching massive assaults on Palestinians in Gaza, and have killed 181 Palestinians and wounded well over a thousand, destroying numerous homes and infrastructure. See below for IMEMC’s continually updated list of the victims of Israel’s assault. 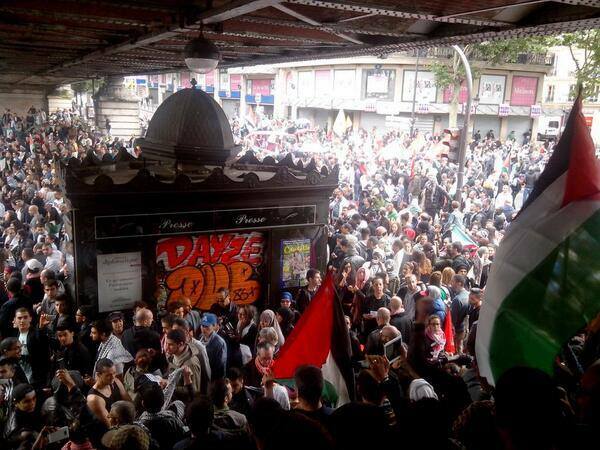 Paris takes to the streets against occupation assault on Gaza. Samidoun Palestinian Prisoner Solidarity Network notes that the assault on Gaza and the mass raids on Palestinians in the West Bank, Jerusalem and Occupied Palestine ’48 are part and parcel of one program of siege, isolation and assassination either through outright murder at the hands of largely US-made missiles, bombs, F-16s, guns and tanks, or through the slow death of isolation in the prisons of the occupation. This stage of siege and isolation is extended and exemplified for the over seven million Palestinian refugees in exile and diaspora around the world denied their right to return for over 66 years. This situation is at a point of crisis, and the voices of people of the world must be heard to demand an end to the killing, bombing, mass arrests, occupation, persecution, home demolitions, racism and settler colonialism that is at the heart of the occupation state. There is an urgent need for action and people have been responding around the world. 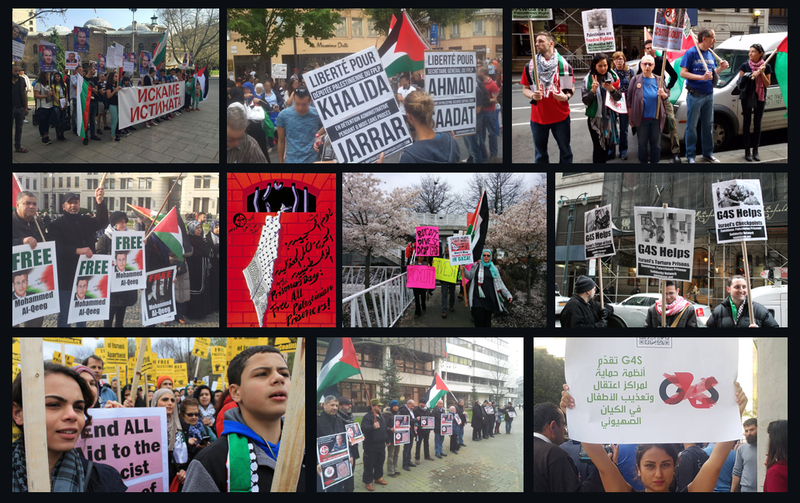 Join one of the numerous actions taking place in hundreds of cities around the world – escalate resistance around the world to support resistance in Palestine and confront the killing machine facing Palestinians today. The governments of the US, Canada, the UK, Australia and other imperial and colonial powers are lining up to support this assault – it is imperative that the people are lined up to confront it. Click here for the full list of international protests. Email samidoun@samidoun.ca to add your own! Via IMEMC: These are the names that have been confirmed by medical sources in Gaza. Approximately 1260 have been injured, with some losing limbs and others disabled for life. The majority of the wounded are children, according to the Ministry of Health. All of the casualties listed below are victims of Israeli bombs dropped on Gaza since Tuesday July 8th. 21. Mohammad Samiri, 24, Deir al-Balah. 22. Rami Abu Mosa’ed, 23, Deir al-Balah. 23. Saber Sokkar, 80, Gaza City. 24. Hussein Mohammad al-Mamlouk, 47, Gaza City. 25. Nasser Rabah Mohammad Sammama, 49, Gaza City. 26. Abdul-Halim Abdul-Mo’ty Ashra, 54, Deir al-Balah. 27. Sahar Salman Abu Namous, 3, Beit Hanoun. 28. Odai Rafiq Sultan, 27, Jabalia. 29. Jom’a Atiyya Shallouf, 25, Rafah. 17. Hamdi Badea’ Sawali, 33, Khan Younis. 18. Mohammad al-‘Aqqad, 24, Khan Younis. 19. 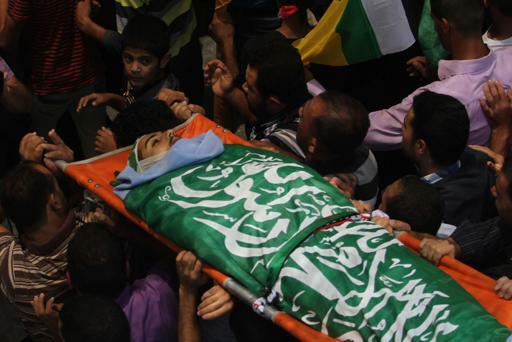 Ismael Hassan Abu Jame’, 19, Khan Younis. 20. Hussein Odeh Abu Jame’, 75, Khan Younis. 21. Abdullah Ramadan Abu Ghazal, 5, Beit Hanoun. 22. Mohammad Ehsan Ferwana, 27, Khan Younis. 23. Salem Qandil, 27, Gaza City. 24. Amer al-Fayyoumi, 30, Gaza City.